On any given shopping day, I swoon over pieces marked below $50 let alone $30! 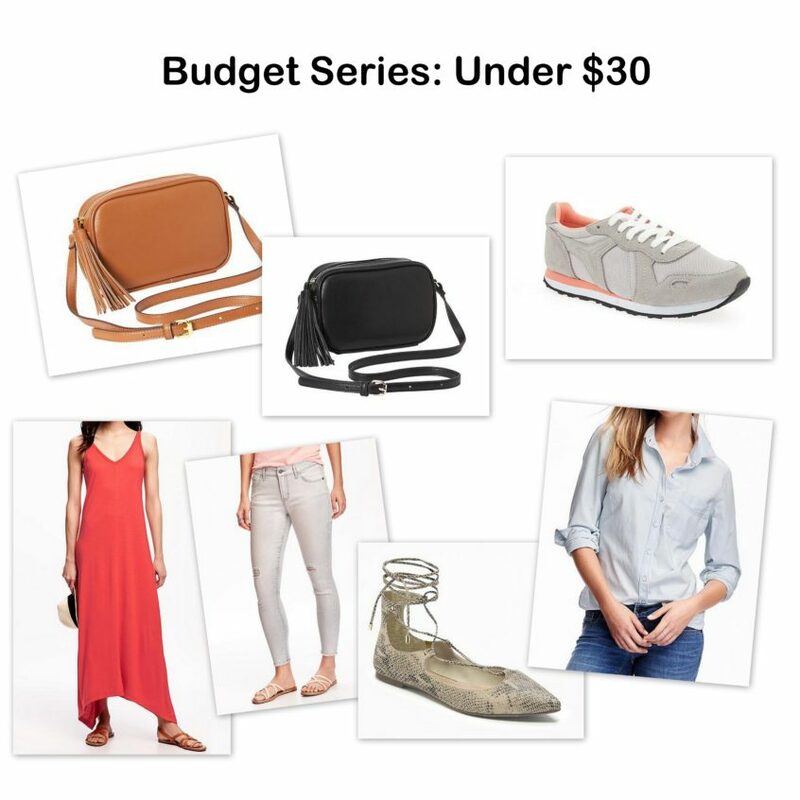 Old Navy is following some major trends right now at great prices – lace up flats, frayed hem skinny jeans, tassel crossbody bags, denim jackets, chambray tops, and of course many styles of dresses! My favorite things in this post have to be the denim jacket, the sneakers, and the crossbody bags. The denim jacket can be used for layering all year-round – over dresses, with black skinnies, and sometimes to put together denim on denim looks. The sneakers are just an amazing price for the look. They have a similar look of New Balance sneakers (like the popular JCrew New Balance ones) for a better price! And finally, the crossbody bags in two great colors – tan and black. They are SUPER similar in style to the popular Gucci bag that comes in tan and black, but for a price any girl can afford! Where is your favorite place to shop on a budget?